What is a SAM™ page? SAM™, or super advanced marketing, page is the Chamber Member Listing in the member directories. Chamber members automatically receive a listing, which can be claimed and/or updated at any time at no cost. How do you make your listing stand out? Your SAM™ page is more than just a business listing. Add enhancements to stand out in the crowd. Add up to 15 images to your listing and stand out in the crowd! Add Video Streaming to your listing, from 15 seconds up to 8 minutes! Add 1 to 3 documents such as a flyer, brochure, or menu. 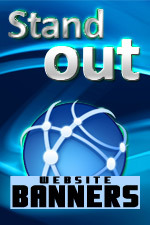 Optimize your SAM™ web page for maximum exposure.